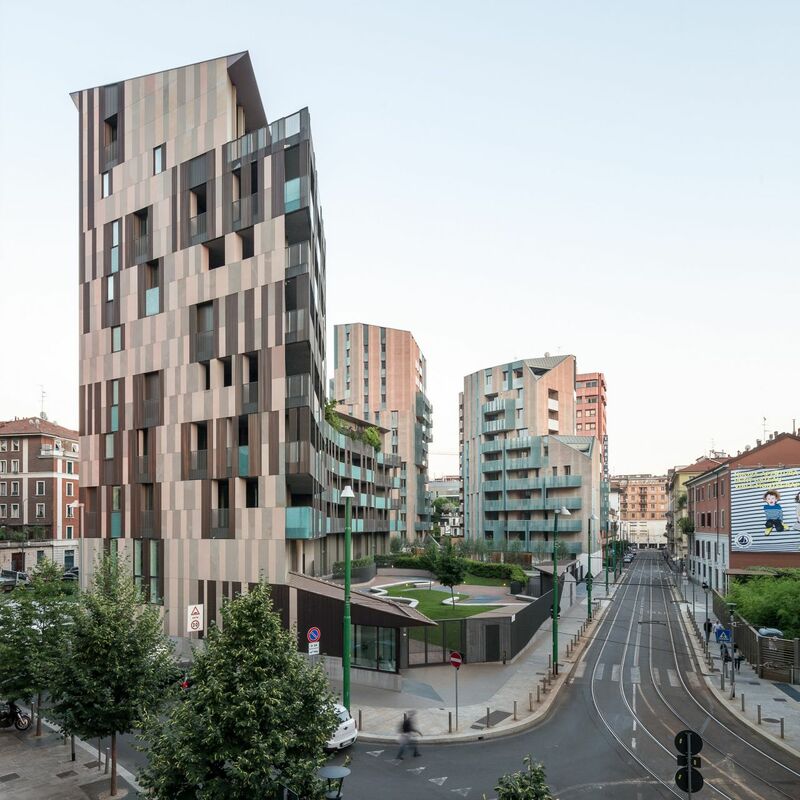 The residential building La Corte Verde in Porta Nuova, one of the most lively areas of Milan, represents the rediscovery of the environmental value of the compact city. The return to the urban life by the younger generations remarks the capability of the city to offer irreplaceable services and experiences. 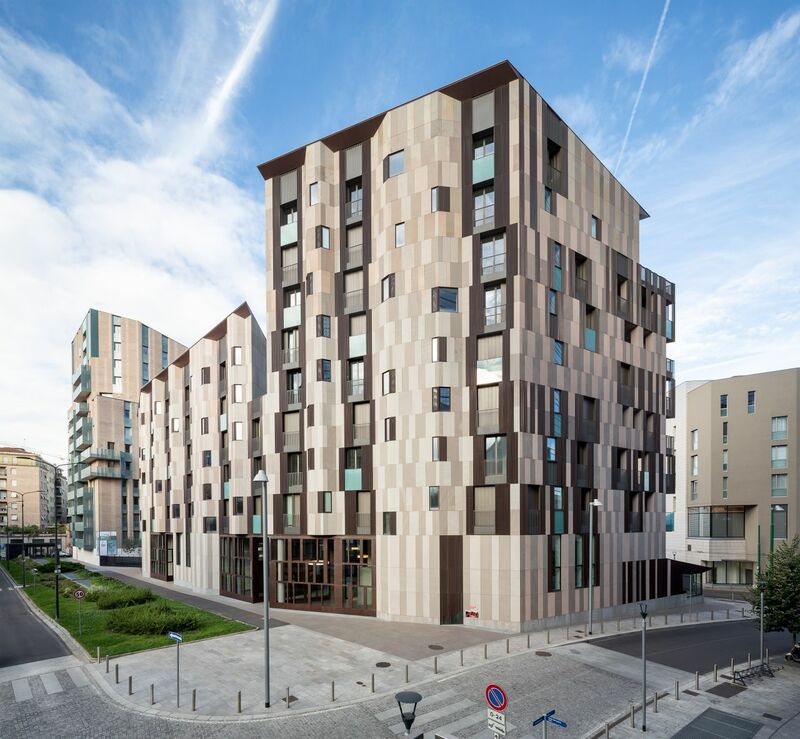 The Porta Nuova area has almost completed its urban metamorphosis in one of the most important poles of the new Milano. 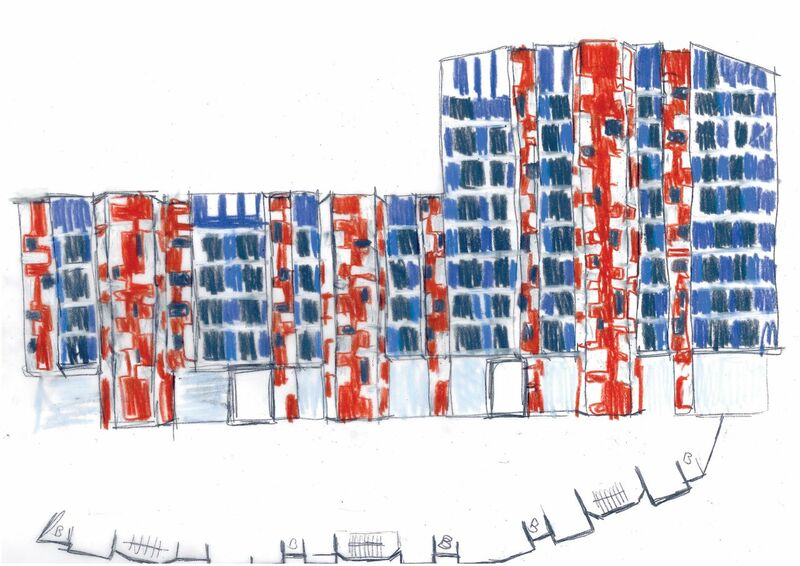 The new residential complex “La Corte Verde” (the Green Court) represents a small but important part of this reform; its location makes it an element of transition between the new high volumes to the North and the existing urban fabric to the South. 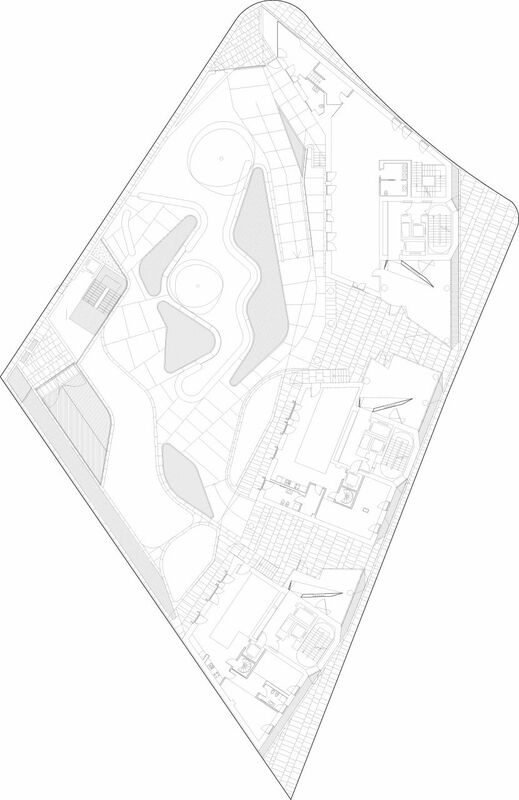 The transversal dimension of the plot and its trapeze shape made building volumes along its perimeter difficult. 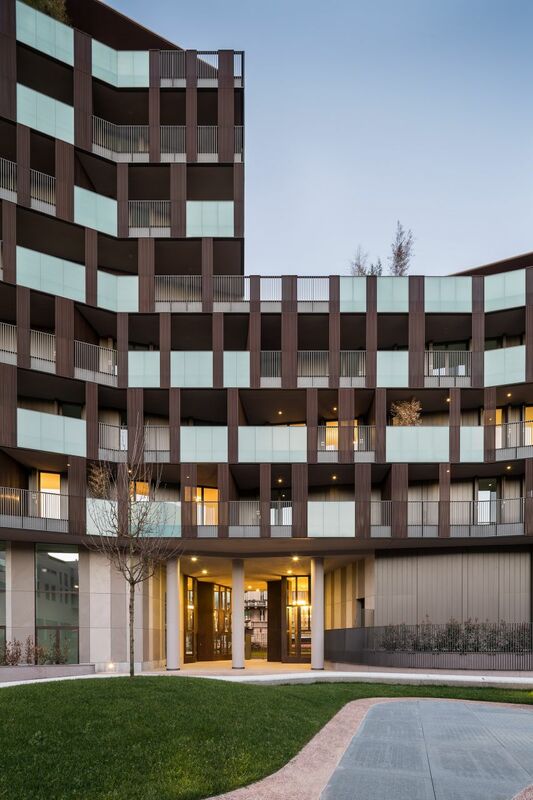 We chose to place the volume on the east edge, overlooking the large green via Viganò street, while the West edge onto via Rosales is defined by a low wall which protects the garden and by a canopy that protects the vehicular access to the underground parking and their stair block. 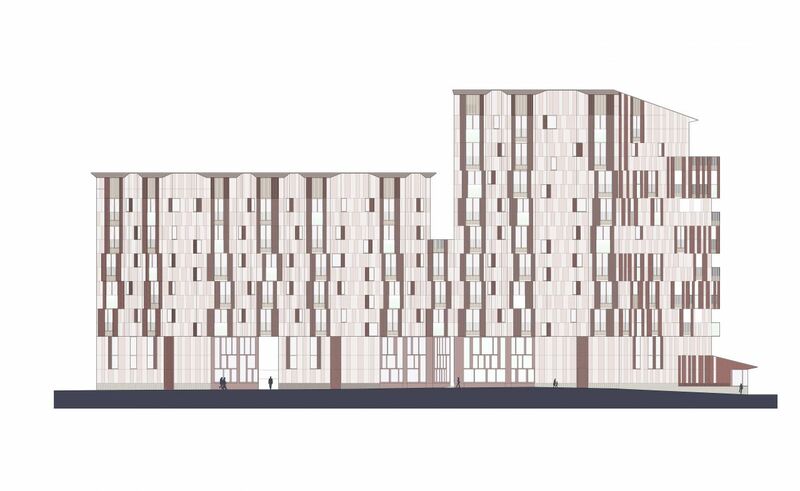 Two other building volumes designed by CZA for the adjacent property will complete the South edge of the area, forming a “porous” block consisting of buildings of different heights clustered around the vast central garden. 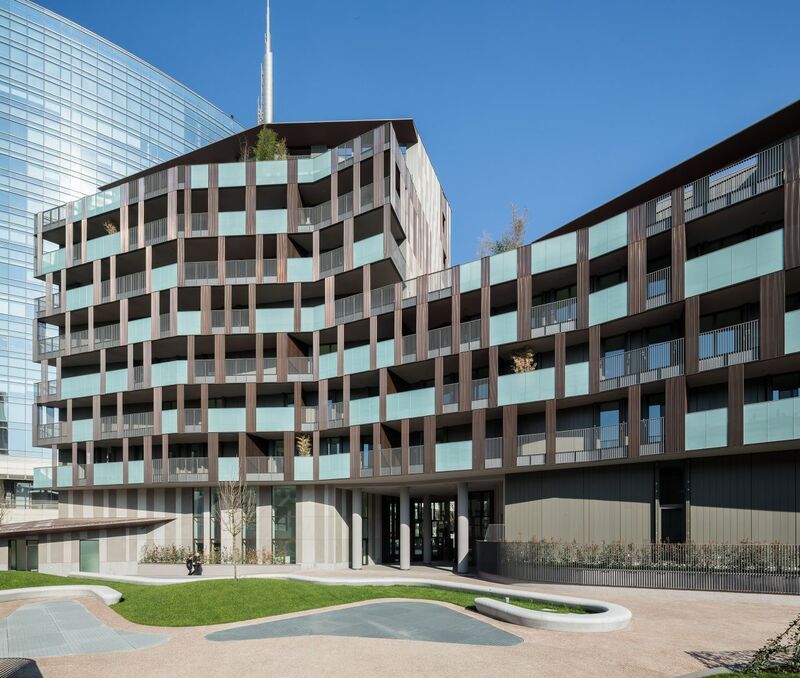 A geometric inflection of the higher volume on the North connects via Viganò with the large ramp going up to the new circular square embraced by the Unicredit complex; the lower volume to the South relates to the existing houses on the other side of via Viganò, taking on the height and the street alignment. A second entrance booth on the North-West projects out from the main building volume embracing the garden and creating a covered path which flanks it. 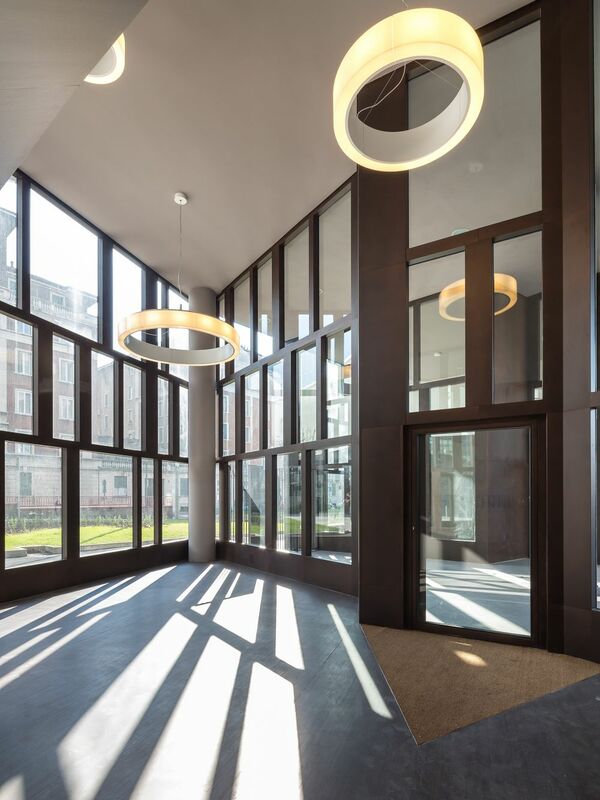 The front and back façades of the building have very different architectural features, chosen in relationship to the disposition of their interiors, their position in the city and their sun orientation. 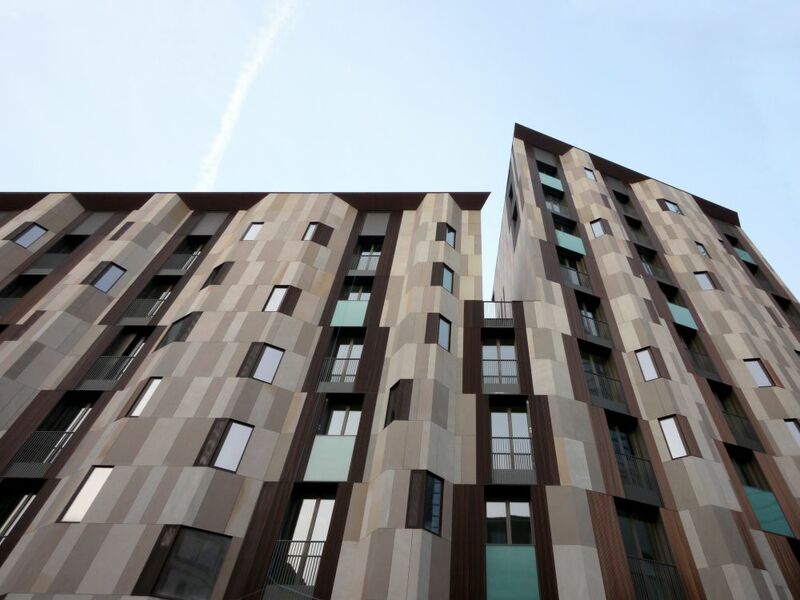 The East front on via Viganò, which hosts the bedrooms, stair blocks and bathrooms, is distinguished by a broken profile which alternates bulges in the form of “bow-windows” and high stacks of floor-to-ceiling windows. The West side, where the living areas extend in large continuous terraces, creates a long screen overlooking the garden. 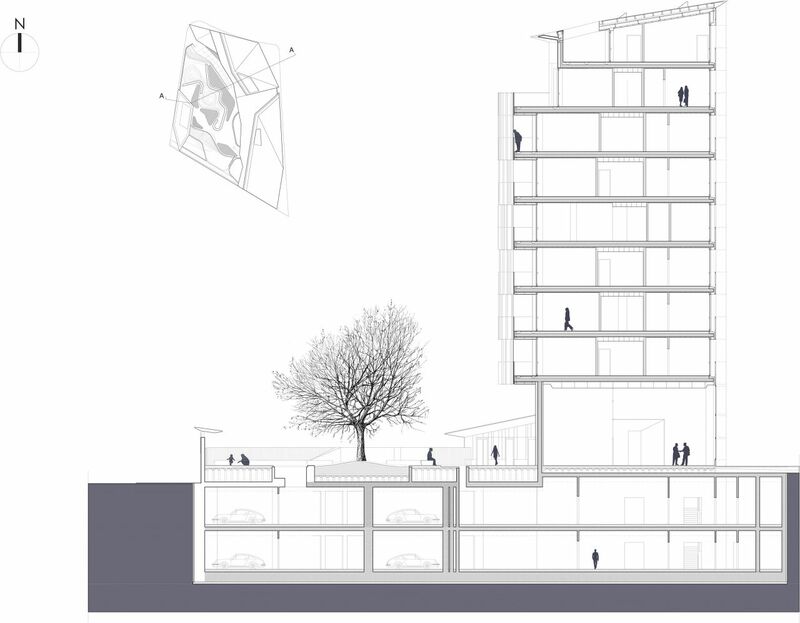 In the upper floors, the stepped profile creates large hanging gardens overlooked by apartments on two floors. 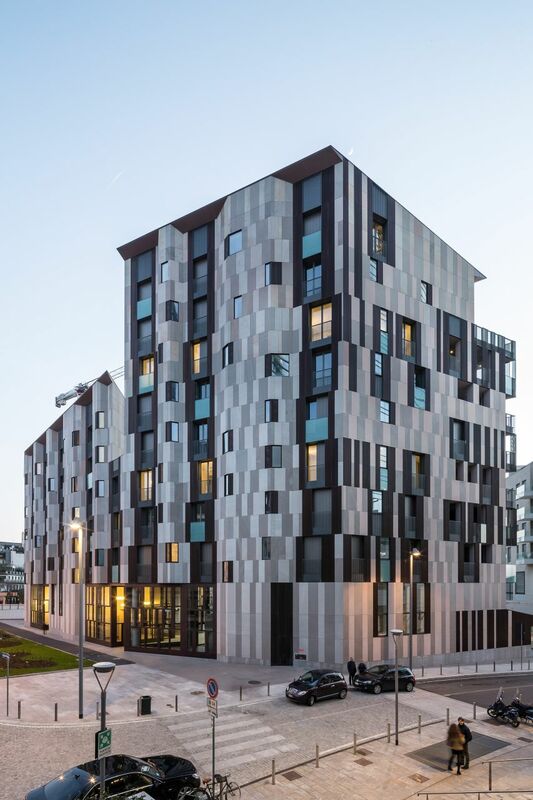 The different materials and textures of the façades – plaster, Indian stone in two alternated finishes, bases in porphyry slabs, wood and metal window frames, folded and perforated copper plates, parapets in enamelled steel and sanded glass – are unified by a colour palette in various warm grey tones, that together with the projecting single gable profile recalls the historical city without any direct quotation of its stylistic features. 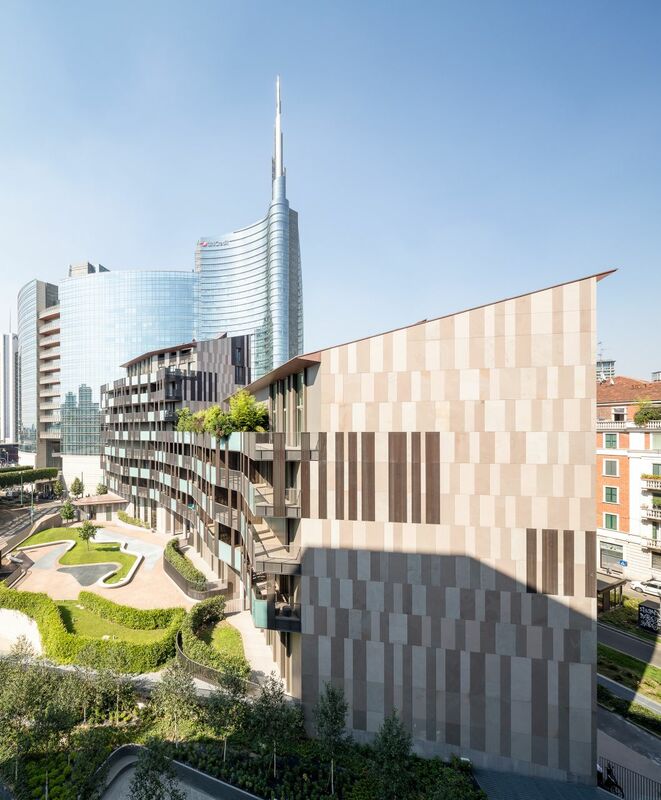 In this sense the new building, more than mimicking the language of the existing city, constitutes its “abstract” re-reading capable of creating an effective transition between the new Porta Nuova complex and the building fabric surrounding Corso Como.